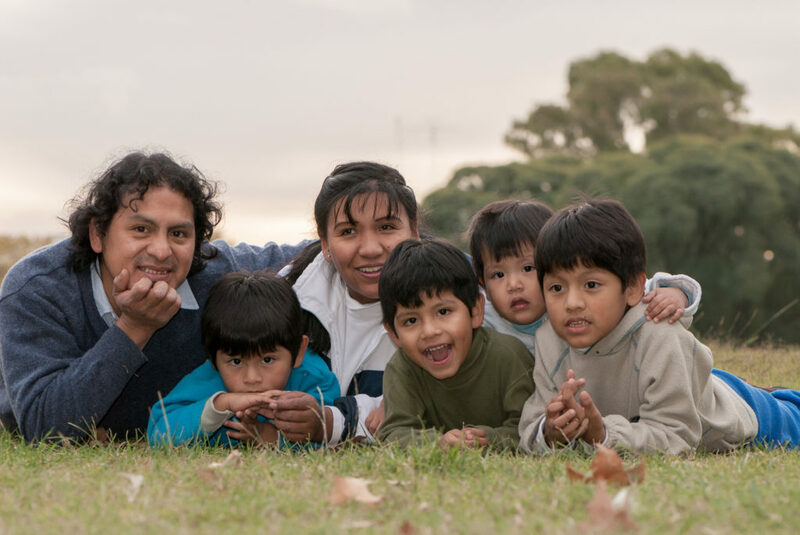 Ana, her husband Roberto, and their four young children fled to the U.S. from their home in El Salvador in 2016. Vicious gang members, working in conjunction with law enforcement and the controlling political party, apprehended Roberto, a legal advocate and business owner. They forced him to watch men being tortured and murdered, then showed him a picture of Ana taking their children to school. The violent men told Roberto they would torture and murder his family next if he did not secure the release of two recently jailed gang members. Roberto knew he could not do what they demanded of him, so the family left everything they knew and owned and fled. The journey was dangerous, and the family was separated before reaching the U.S./Mexico border. Ana and the children were held in a Texas detention center for a week before being released and allowed to temporarily live with extended family members in Nebraska while they plead their cases in immigration court. However, Roberto was not released and instead forced to plead his case in immigration court from a Texas detention center. Roberto secured an attorney; however, the unscrupulous and unethical attorney did not properly present his case. As a result, Roberto lost his case and was issued an order of deportation. Meanwhile in Nebraska, Ana had become very sick. She thought her illness was the result of the stress she had endured in fleeing El Salvador, which increased while she was detained with her children and separated from Roberto. Much worse, Ana was diagnosed with terminal cancer. The social worker at the hospital reached out to our Immigrant-focused Medical Legal Partnership (IMLP) team to help the family. Senior Managing Attorney Mindy Rush-Chipman began safety planning at once, drafting Ana’s Will and Temporary Delegation of Parental Power documents, as well as appealing Roberto’s case to the Board of Immigration Appeals to prevent his immediate deportation. After repeated requests, he was released from the detention center, where he had been held for over nine months. Roberto reunited with Ana and their children three days before she passed away. He was here to say goodbye to his wife and to grieve with and care for their children. The children are now living with their father while our IMLP attorneys continue to work on their Asylum and Special Immigrant Juvenile Status cases. That legal relief would fulfill Ana’s wish to keep the children together, with their father, and protect them from the harm they would most likely face if forced to return to their home country. Recently, the Department of Homeland Services agreed with IMLP attorneys that Roberto should be granted protection under the Convention Against Torture, which allows him to remain in the U.S. The children’s cases are still pending. Asylum status saves lives by protecting victims and potential victims from being returned to and tortured in the country from which they fled.